What draws luxury hotel brands to the somnolent city of Luang Prabang? To find out, Mavis Teo checks out the Unesco-World Heritage site at a leisurely pace. Something is brewing in the cultural city and former royal capital in the north of landlocked Laos. In the space of three years, quite a few luxury hotel brands have joined a scene previously dominated by Belmond and Aman. Rosewood group’s tented luxury camp will open there later this year. 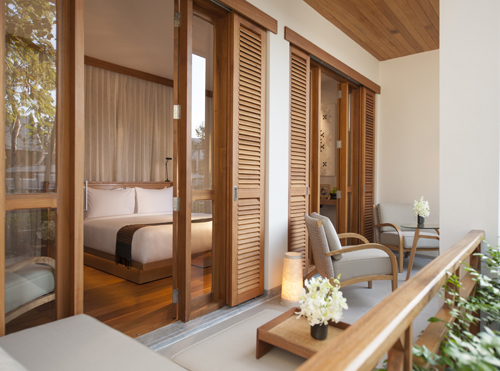 French group Accor has just opened the five star Sofitel Luang Prabang in addition to its boutique hotel Three Nagas. When Adrian Zecha, founder of legendary luxe brand Aman and hotel visionary chose Luang Prabang as the destination for the first outpost of Azerai, a new brand that he created post-Aman, more people started to serious notice of Luang Prabang. Even regional airlines are joining the party. Singapore Airlines’ subsidiary, SilkAir’s launch of direct flight (and bringing with it, the first business class options available to Laos) late last year, with a brief stop at Vientiane on the outgoing flight, filling a gap in a route currently dominated by budget airlines. Now that flying to Luang Prabang has become easier than before, there are more reasons to check it out. Luang Prabang’s allure lies in its slow pace of life. Simple pleasures like even just walking under the frangipani boroughs on the streets can be found in spades in Luang Prabang, a place to be enjoyed slowly. The pace of the city entreats you to slow down to get know it. 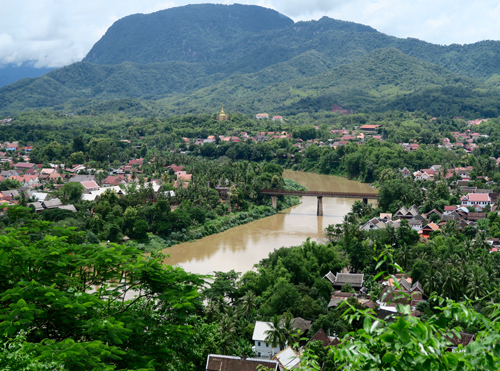 Luang Prabang is a place you can cover in two days, appreciate in three and fall for in four days. By the fifth day, you start entertaining thoughts of buying a holiday villa here. 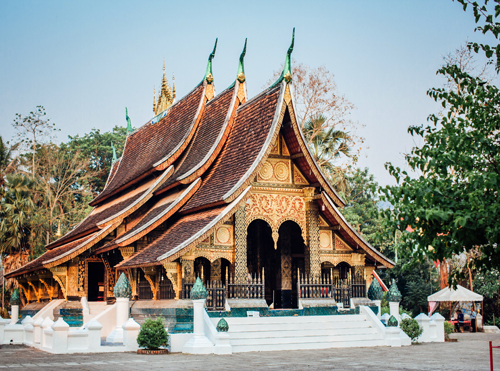 Here are just three reasons why Luang Prabang is worth your time. What replaces the buzzing street markets or nightlife in urban Southeast Asian cities like Bangkok is a quiet sense of serenity in a city where religious piety and an adherence to age old customs are still practised. The city wakes up at before dawn to ready themselves for Tak Bat, the tradition of monks collecting alms. At the first light, the main streets in the Unesco-recognised Old Town get packed with both locals and tourists giving rice to monks from over 30 temples in the Old Town. Clocked in an amber sheen from a rising sun, the city takes on a sepia tinted vision of a bygone era, bewitching visitors. The night bazaar is the main shopping area for both locals and tourists. By sunset, the market that meanders through the main artery of the Old Town comes alive with stalls selling handicrafts like hand-stitched books for children (which may not always be grammatical), lamps made out of brightly coloured paper fibres or indigo-dyed textiles made by the Hmong Lao tribe in the region. When made into cushion covers or bed runners, the latter in the Hmong trademark shades of cobalt blue and ecru add vivid accents to a home. Hmong silverware is also a popular tourist shopping item. If you prefer something less rustic, stop by Naga Creations founded by French designer Fabrice Munio. Resident of Laos for 17 years, Munio adds a refined touch and a more wearable twist to his designs inspired by indigenous tribes in the furthest reaches of the country. Even if at USD250 upwards for a night is what Mr Zecha has termed as “affordable luxury”, quality software in the form of warm but discreet staff (many of whom used to work with Mr Zecha in Aman) is guaranteed. 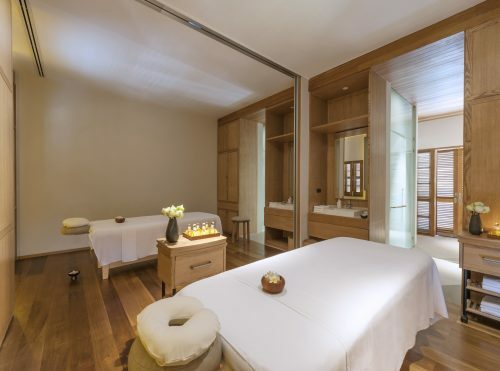 So great is their faith in Mr Zecha’s Midas touch, that quite a number of Aman junkies (who would think nothing of paying more than USD1,000 a night for a hotel) have found their way to Azerai Luang Prabang when it opened early this year. 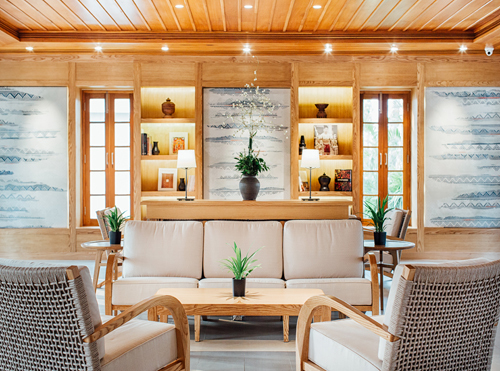 Thai-based architect Pascal Trahan has converted the former French officers’ mess built in 1914 (and became Hotel Phousi till 1964) into a 53-room hotel that balances colonial and contemporary. Blonde wood and grey granite dominate the design palette for a clean look, while wooden Laotian-styled latticed window and door frames add a local touch. Rest is given priority here – after all, the hotel’s name is inspired by a Persian word – Caravanserai, which means resting place for tired travellers. Book a massage (or even one everyday) in the Massage Retreat where therapists soothe sore muscles and tired souls with their skilful hands. SilkAir flies thrice weekly to Luang Prabang. Economy class passengers can stream from over 100 international movies and over 40 TV shows from an inflight wireless entertainment system called SilkAir Studio, upgraded last May, while business class passengers have the added option of pre-selecting their meals.